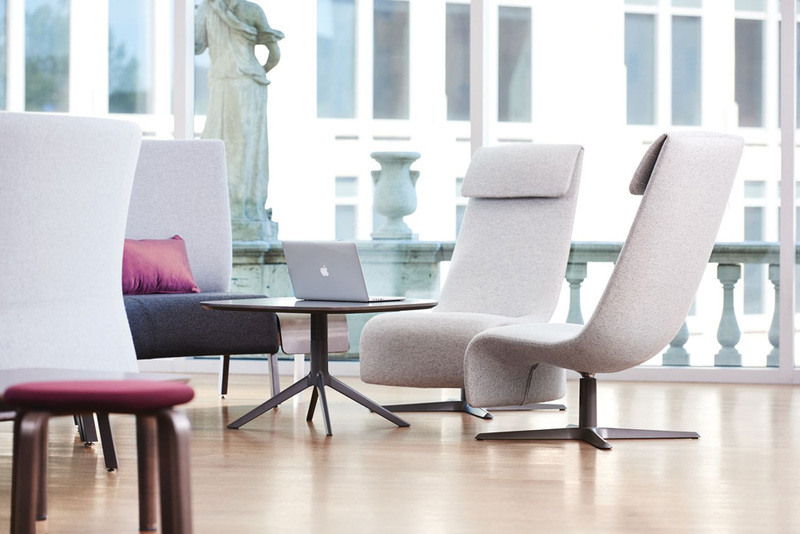 Designed by PearsonLloyd in conjunction with Teknion, Zones is a comprehensive series of furniture products that transforms the office, challenging convention and changing the way people experience work. 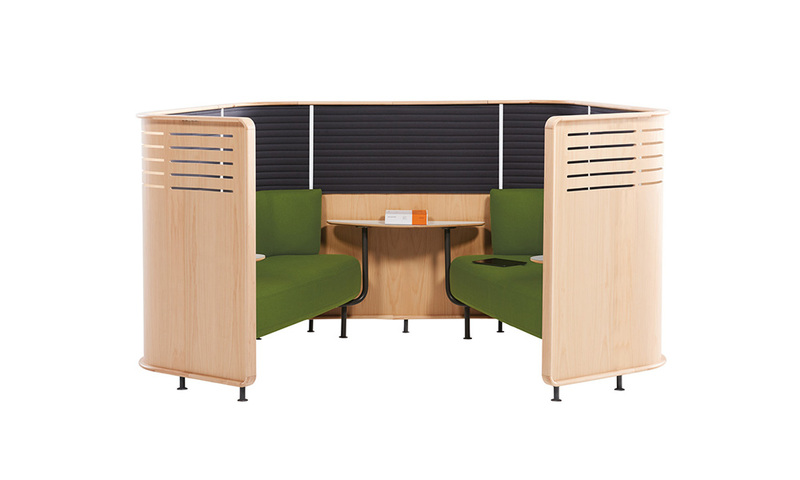 It comprises seating, tables, screens, easels and accessories, as well as semi-private enclosures which can act either as an intimate collaborative setting or as a place of retreat when privacy is desired. Zones’ breadth of offering across multiple workplace categories with a consistent design language makes it unique. 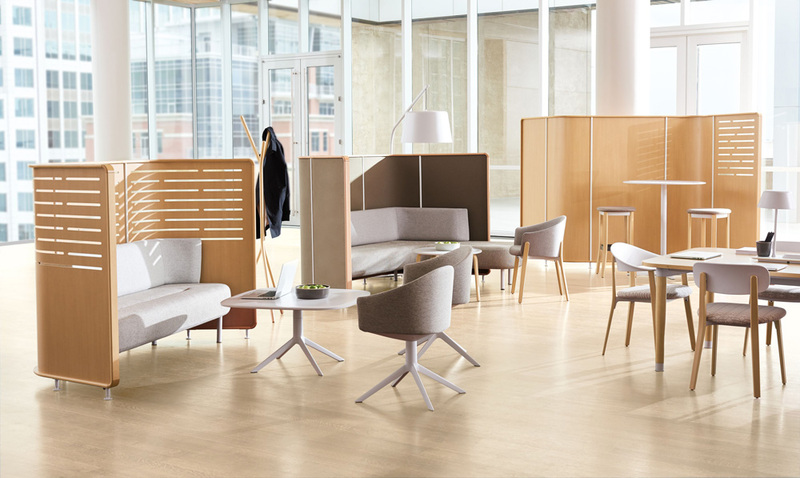 Influenced and inspired by the untethered, modern worker who seeks movement, flexibility and convenience, Zones transitions the workplace from one that’s fixed and formal to a space that suits a variety of preferences and working habits. Components can be combined in limitless ways to create flexible, fluid work areas that exist “in between” less adaptable areas like private offices, conference rooms and high-density workstations. Zones Arm Chair, Side Chair & Stool, Zones Benches, Zones Club Chairs, Zones Solo Lounge Chair, and In-the-Zone Sofas. 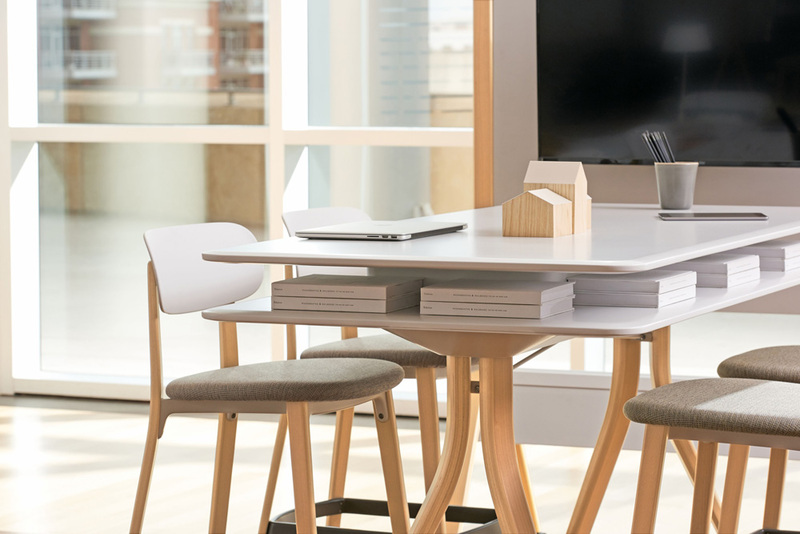 Tables in the collection include Workshop and Canteen Tables available in a variety of sizes and shapes, serving meetings of two to six people in touchdown or hot-desking scenarios. 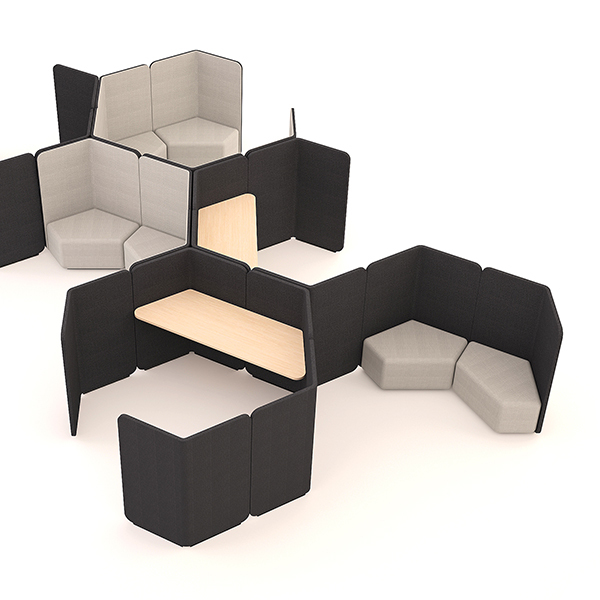 A variety of enclosures for meetings, private and collaborative working are available in a range of configurations and dimensions. 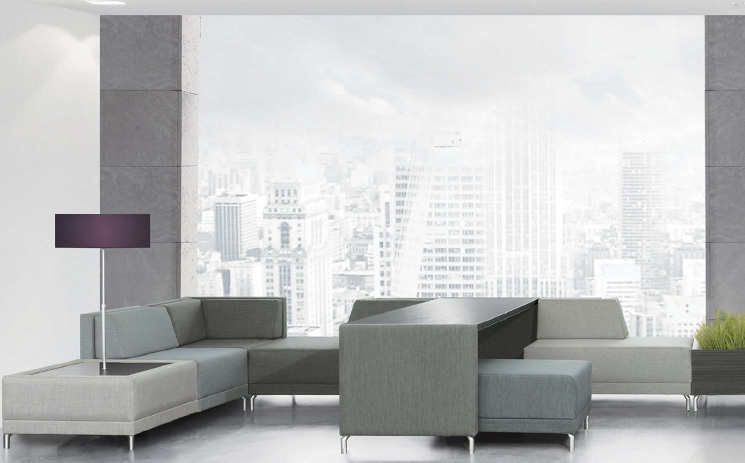 Pieces from the Zones collection can be integrated and retro fitted with a number of other Teknion systems including Interpret and District work stations. Zones Enclosure components include partial-height slots combined with partial-height fabric buffers provide a customisable level of softness and privacy. All Zones seating is proportioned to accommodate the growing needs of the contemporry market and is tested to ANSI/BIFMA standards. Weight capacity is 136kg (300 lbs). 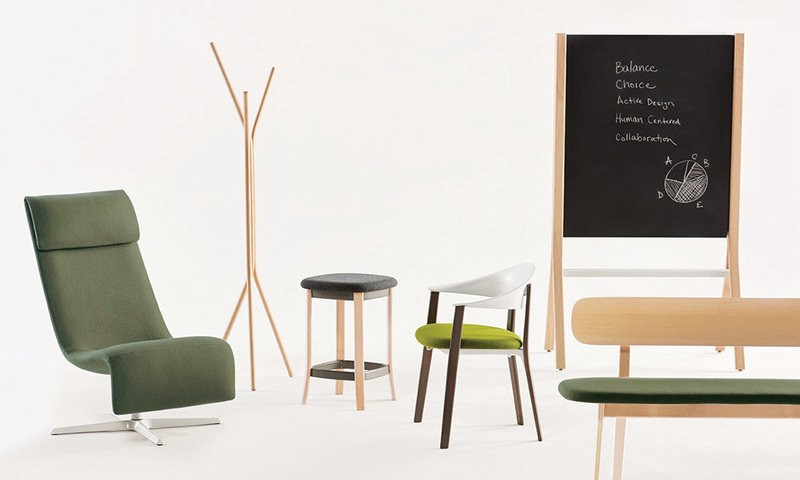 The signature curved Beech wood legs of the chair variations blend with other soft seating, tables and accessories within the Zones collection. Zones Benches accommodate one or two persons and are ideal in focus, collaborative and workshop areas. Available with or without a back.